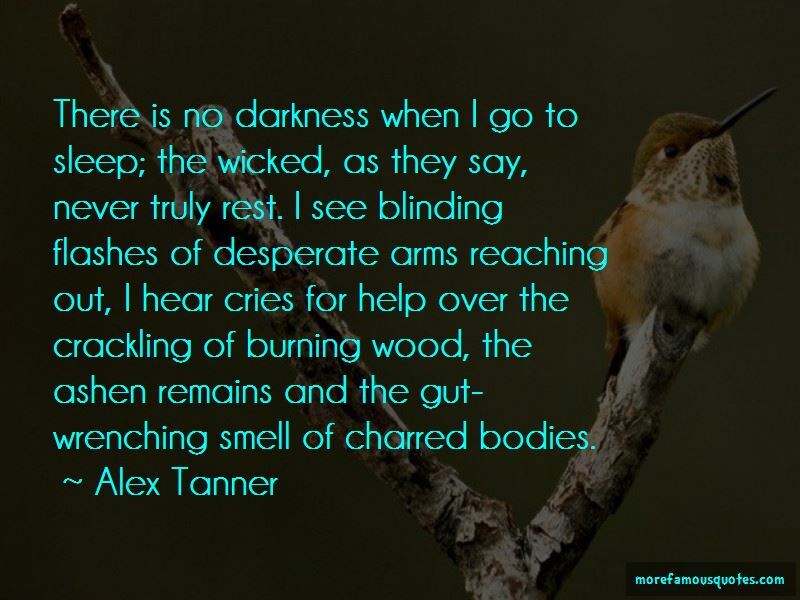 Enjoy the top 1 famous quotes, sayings and quotations by Alex Tanner. There is no darkness when I go to sleep; the wicked, as they say, never truly rest. I see blinding flashes of desperate arms reaching out, I hear cries for help over the crackling of burning wood, the ashen remains and the gut-wrenching smell of charred bodies. Want to see more pictures of Alex Tanner quotes? Click on image of Alex Tanner quotes to view full size.